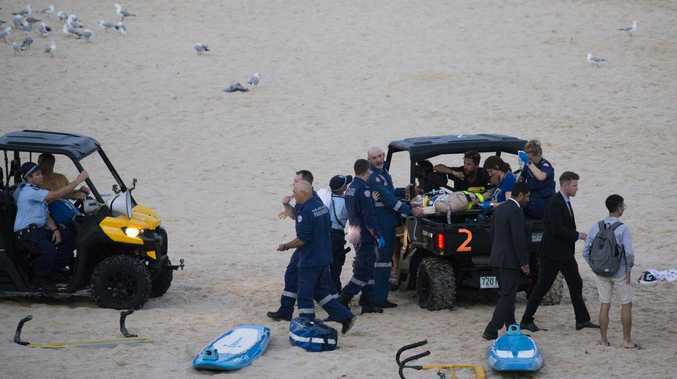 A MAN is fighting for his life in hospital after he and two others were pulled from the water at Sydney's Bondi Beach. Emergency workers were called to the southern end of the beach just before 7.30pm on Wednesday. Police said officers arrived to find members of the public performing CPR on a 21-year-old man. Police were told two 20-year-old men he was swimming with were also rescued and have been released from hospital. 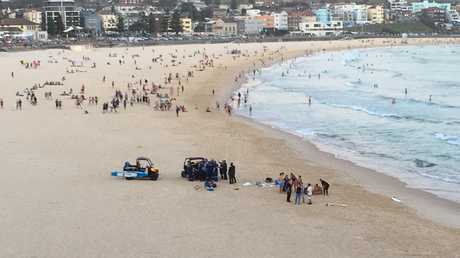 It is believed the swimmers were caught in a notorious rip below Bondi Icebergs restaurant. Four crews including a medical team and a helicopter attended the scene and worked to stabilise the older man, while hundreds of onlookers watched on in horror. 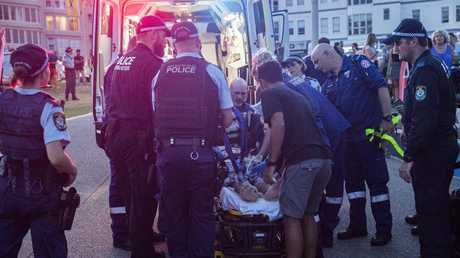 A NSW Ambulance spokesman said that the man was in cardiac arrest while being loaded into the ambulance. He is currently in St Vincent's Hospital in a critical condition. There have been 19 drowning deaths this summer in NSW, and 62 around the country.